While traveling to Capernaum, the disciples argued about which of them was the greatest. They were caught up in their constant struggle for dominance and importance. When Jesus asked them what they had been arguing about, they remained awkwardly “silent.” Embarrassed and convicted, they were speechless since their dispute highlighted their failure to apply the Lord’s explicit teachings on humility and service. With the advent of social media, the proverbial road to Capernaum has taken on a whole new form. 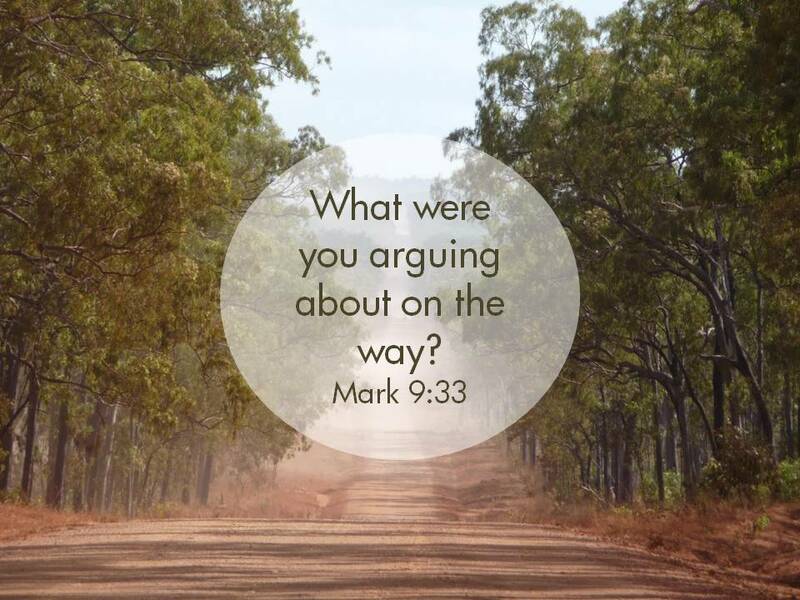 Based on the issues you argue about, and how you argue them, what would your response be to the Lord’s question, “What were you arguing about?” Think twice before you answer. ← Do You Want To Go Away As Well? This just (once again) proves that it does not take a long article with many words to be VERY thought provoking. It is so human to want to feel important in our own minds. Keep up the good work!! And by the way, that little pumpkin seed from a year ago sure is a cutie! Thank you Betty. The little guy is awesome.